We all love a little nostalgia. Dreaming back to the days when we shared a bunk bed with our sibling, arguing over who had the top bunk, secretly passing notes and toys from top to bottom bunk, and feeling like a proper King (or Queen) of the castle when we finally managed to get the upper bed for the night. There are a few things for certain; bunk beds are a fabulously fun bed solution for children, and they're also such a useful option for siblings who share. But not only are they versatile and practical, they're also a great focal centre piece for a kids' room, and with so many styles on offer, there's plenty of choice for even the most design led spaces. 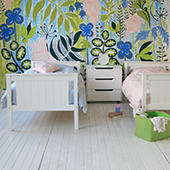 Let us introduce you to our tribe of Little Folks Furniture bunk beds. - They're all made from solid hardwood bed frames, and because we take children's safety ever so seriously, they're also all tested to safety standards in our own testing rig, where we bish, bash and bosh the bunks to see just what they can withstand. Only when we're sure that they'll stand up to lively kiddies, will we develop and sell our designs to you. - It's what comes with a little know how and technical expertise. The Classic Beech Bunk Bed. Where clean, Nordic styling, solid hardwood materials, and space saving ladders unite. 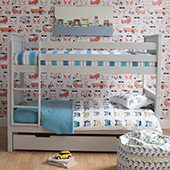 This bunk bed is available in our fresh, pure white colour way or our cool, dove grey finish. With a fixed ladder with deep treads for little toes, it's the ideal solution for compact shared spaces. Did you know that if sleeping on the top bunk, you should always use a high bed or raised bed mattress? These are slightly thinner than a regular mattress, and are deisgned for use in any bed that is raised off the floor. If you fancy a bunk with a more modernist touch, take a look at The Edit Bunk Bed. 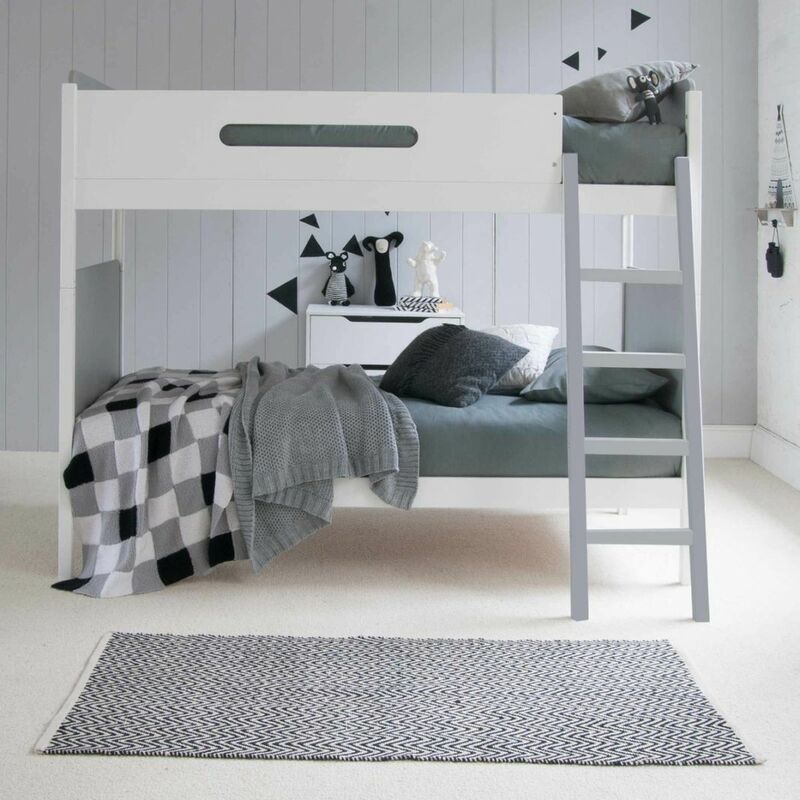 With gentle, curved edges on the end panels, and a variety of colours available including a smart oak, punchy red, or trendy grey, this bunk bed would be a fabulous centre piece for any modern shared room. Looking for extra sleepover or storage space? 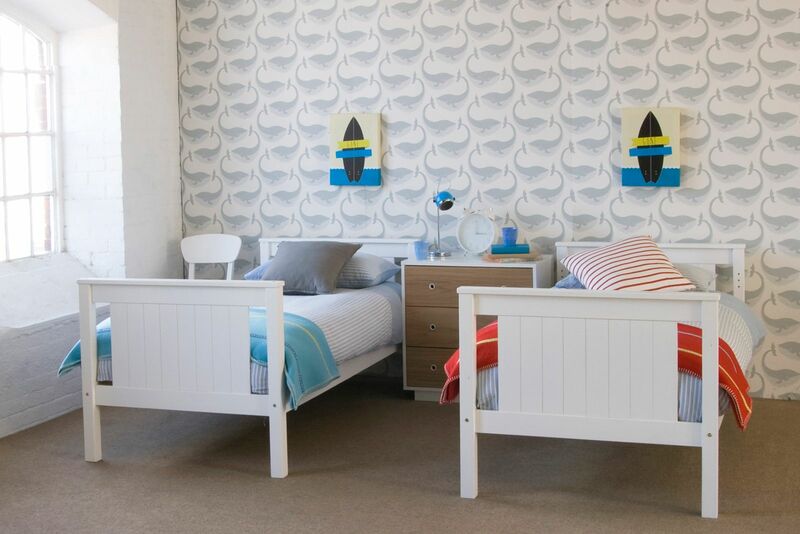 You can add a trundle under any of our bunk beds, for an instant spare bed, or full length drawer. - Win, win! 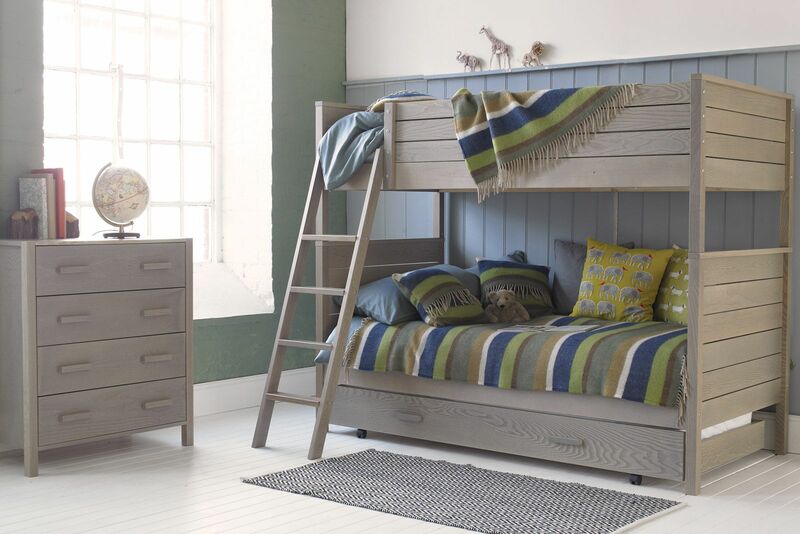 If you love the look of natural wood grain, and a versatile bunk bed that will suit the most classic or contemporary spaces, take a look at our Woodland Bunk Bed. This is an ash wood bed, and comes in either a soft grey or white wash finish. The beauty of the ash grain shows through, creating a distinctive and beautifully soft effect, yet it's just as rock solid and sturdy as the others! 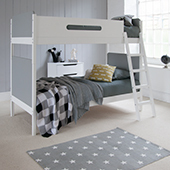 Did you know that all of our Little FolksFurniture bunk beds convert into two full size adult single beds? This means that when the sharing phase is over, they can be split down (really easily) into two adult size single beds, and used in the guest room, meaning greater longevity, better value for money, and extra peace of mind. 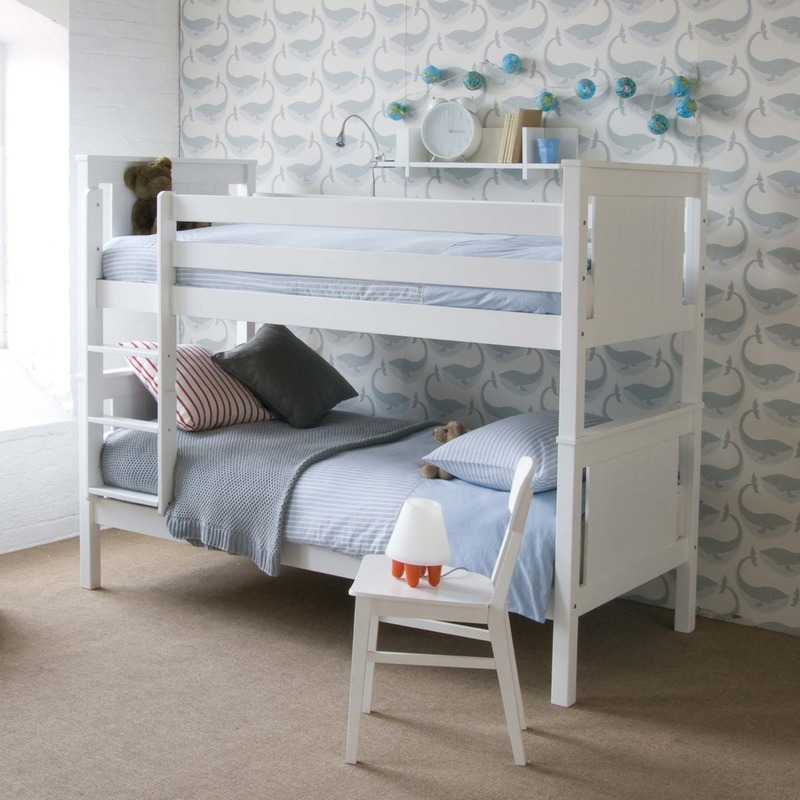 Our designers love a little chat with our customers, so if you have any questions about our Little Folks Furniture bunk beds, then please give us a call on 01985 300588, and we'll be really happy to help.